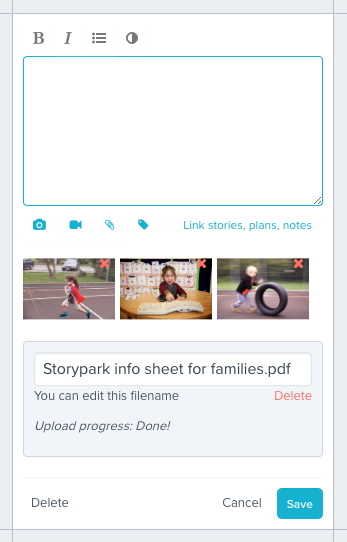 In a plan, hover over (or tap on a touch screen) any cell to see your editing options and select 'Content'. This opens up an editor. 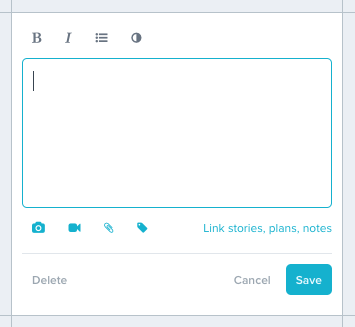 Start typing in the text field. 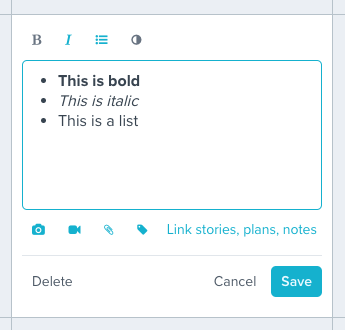 If you want to add any formatting, select the text and tap the bold, italic, or bullets icons above the text field. In any cell, tap the circle icon above the text field, and select a colour. Tap 'Done', and when you've finished editing the cell, tap 'Save'. The cell will show in your plan as a different colour. As media items load you'll see a progress bar or a processing symbol. While these load you can carry on editing that cell and when they've loaded you can tap 'Save'. 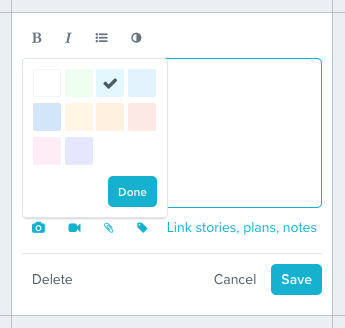 Once you leave the cell editor you'll see these media items loaded in the cell as thumbnails. Tapping on an image or a video opens it in a viewer that you can flick through and play any videos. 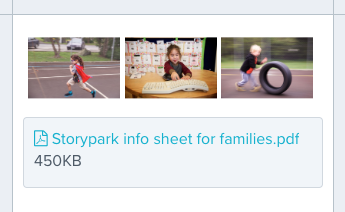 Tapping on a document downloads it to your computer.